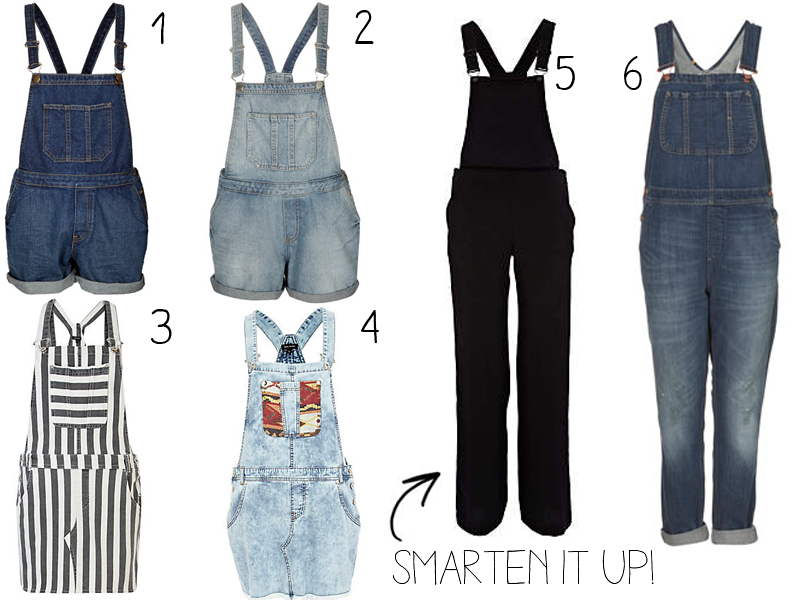 I am totally in love with the current Dungarees trend. Although I already have myself a pair from last Summer, I think I may have to purchase some new ones. I think they’re great with blouses underneath, but my favourite way of wearing them has to be with crop tops, it’s such a casual look and reminds me a bit of a painter (?!?! ), in a good way, of course. I also really love how you can get some to look super smart like number 5 which are perfect for office wear, I can see it working beautifully with a blouse underneath, a clutch and heels! I currently have a saved search for dungarees on ebay because you can find some gorgeous vintage ones for a fraction of these prices!